Ali enjoying a bluebird mountain day in Aspen for the Winter Games Program and sit skiing with her friend Solei! Ali at the annual Shining Stars holiday party and toy giveaway! We first got to meet Ali and her family in Winter 2017, over a year after she began her battle against bone cancer. She attended our annual holiday party and soon after was packing her bags for Aspen, where she joined us for a week of adaptive skiing in March 2018. We loved getting to know Ali at the 2018 Aspen Winter Games. Ali had been an avid skier before her diagnosis, so when we told her about our Winter Games program, she was excited. Due to recent surgeries to treat her cancer, our adaptive instructors decided a sit ski was the best option for Ali. Even though she had never been in a sit ski before, she was a natural! We loved watching Ali fly down the mountain with her instructors. She was even skiing black diamond runs by the end of the week. The best part of Winter Games for Ali? “Craft night. And meeting friends…It was nice to have no grown ups around too.” (Don’t worry, we had plenty of adults there to supervise all the fun). 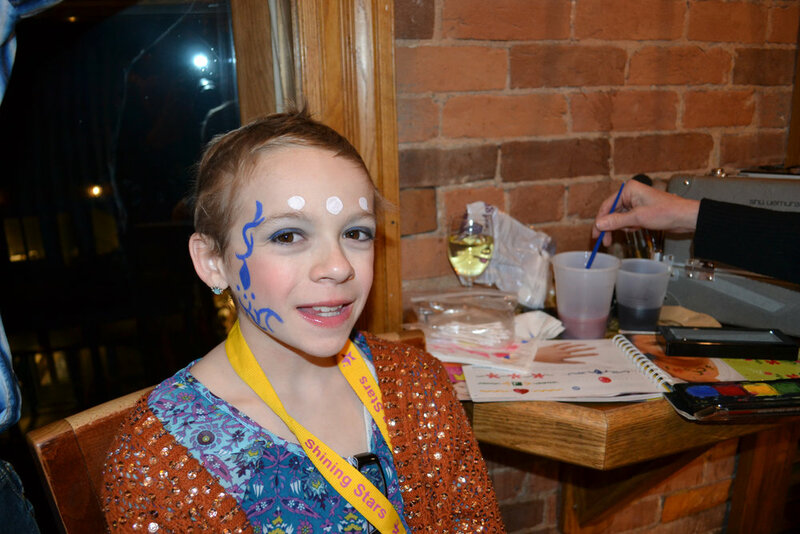 After Winter Games, Ali and her family were invited to a variety of different programs and events for the whole family. They shared with us that it was so important to be social and interact with families who have faced similar challenges, because you don’t always get a chance to connect with other families in the hospital. Even more important, is the chance for the family to simply have fun together, reconnect, and try new things. Her family recently joined us at our annual Dragon Boat races, where they enjoyed some friendly rowing competition with other families from throughout the Denver metro area. Ali has 7 siblings, is in the 7th grade this year, likes to read, and loves spaghetti.